Postmodernism’s radical left politics don’t flow naturally from Heidegger’s subjectivist philosophy. Postmodernism’s leftist political philosophy is explained by twentieth century Marxists’ crisis of faith in the face of undeniable Marxist catastrophe. Postmodernists took refuge in an earlier totalitarian collectivist, Jean-Jacques Rousseau. Rousseau’s political philosophy features socialism, totalitarianism, and unthinking religious fervor. He was a Counter-Enlightenment totalitarian collectivist, who damned reason and civilization, sacrificed the individual to the state, called for intolerant state religion, despised political and economic liberalism, and embraced dictatorship. His ideas inflamed the French Revolution and gave rise to Napoleon. Napoleon gave Germany an epic case of post-traumatic stress disorder. Napoleon gained power and trounced Germany. He ended the Holy Roman Empire, occupied German territories, and imposed foreign values on them. Germans blamed the Enlightenment for invading the dark forests of deeply rooted German traditions. German Counter-Enlightenment minds gave Rousseau a German spin. Kant espoused a sort of feudalistic militarism, where Nature uses human warfare for human progress. Johann Herder (Kant’s student) disagreed, arguing for multiculturalism, moral relativism, German (not universal) progress, and nationalism. Johann Fichte (Kant’s student) also disagreed, arguing for Ego (German subjective reality), public education as totalitarian collectivist indoctrination, and German (collective) freedom. 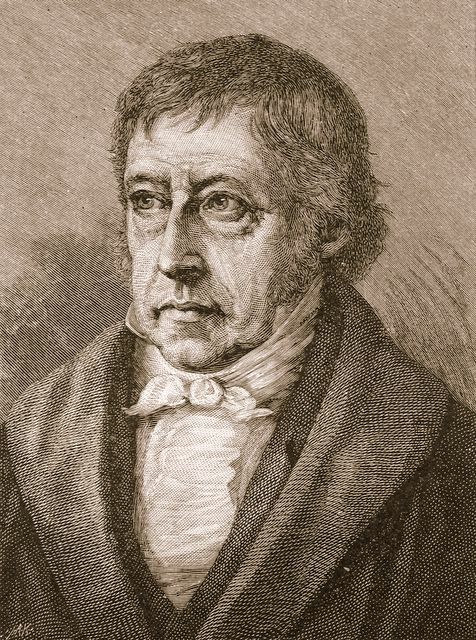 Hegel was the fellow who reinvented reason. He and Kant had split over how to defend God. Kant used logic to kill objective reality. Hegel objected because this denied universal truth. He wanted it back. So, Hegel used his dialectic to reinvent reason. Reason was the universe acting through individuals, with contradictions clashing in a process of cultural evolution. Hegel decided to give Rousseau the dialectic treatment plus a healthy dose of German idealism. He was a Rousseau fanboy, but the French Revolution had proved to be weak beer. To change the world, Rousseau’s collectivist totalitarianism needed a German shot in the arm. Hegel (like Rousseau) argued for state religion – in a literal sense. He claimed that history was progress towards divine perfection (the Absolute Idea). “God governs the world,” he taught, “the carrying out of his plan is the History of The World”. The State “is the Divine Idea as it exists on Earth”, he said, “One must worship the state as a terrestrial divinity”. Hegel (going beyond Rousseau) sacrificed the individual on the altar of his state religion. “If the state claims life, the individual must surrender it,” he parroted Rousseau. Individuals “are thus sacrificed”, he wrote, “under the category of means to an ulterior end”. Hegel (like Fichte) divined that history was culminating in the German people. The Spirit had developed in three phases: the Orientals, the Greeks, the Romans, and the Germans. “The German world knows that All are free”, he wrote, “The German spirit is the spirit of the new world. Its aim is the realization of absolute Truth as the unlimited self determination of freedom”. Two important takeaways from Hegel are: his dialectic and totalitarian ethnic nationalism. Both components would be taken up by the Collective Right and the Collective Left. Hegel was profoundly influential. His ideas (seemingly bizarre, unhinged, even lunatic) would shake the world, killing tens of millions. Importantly, from a subjectivist philosophical point of view, there is nothing inherently wrong with holocaust and genocide. Romanticism and industrialization birth Socialism. Next: Part 18, Antichrist.